Can the Velocity Shaft™ really make you a better golfer? Absolutely. All of the research that has gone into the development of the Velocity Shaft™ is science-based. We’ve spent years testing the product and refining the workout protocols so that anyone who loves to golf - amateurs, collegiate-level competitors, professionals, and older golfers who have lost flexibility - can improve their skills and enjoy playing longer. 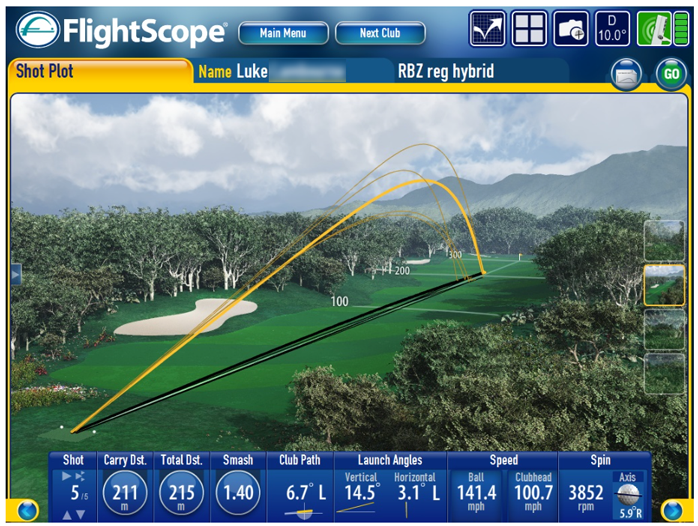 Luke L., A golfer in Australia, sent us results he recorded after using the Velocity Shaft™ combined with our exclusive workout protocol. Luke used the Flightscope® app to record his progress and get comparisons for his pre- and post-Velocity Shaft™ work. The numbers speak for themselves. Click on the images to see the details and open a short slideshow. In the conditioning world, the common approach is to address the muscles that accelerate the body. Yet little or no time is spent addressing the decelerator muscles. This leaves a void, because no matter how strong the accelerator muscles are, if they're not balanced with decelerator muscle strength, increased speed is impossible without risk of injury. 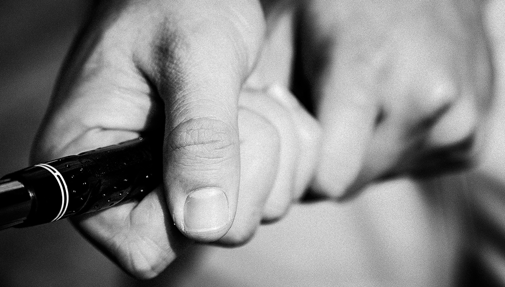 Because of this, the brain’s own self-protecting governor will inhibit action that could lead to injury. As a result, swing speed is inhibited. However, if the body can improve it’s BALANCED strength the brain will allow for faster motion without fear of injury. How do we address balanced strength? Every athlete that uses the Velocity Shaft™ will swing the shafts in multiple ways that will activate both accelerator AND decelerator muscles used in the golf swing. 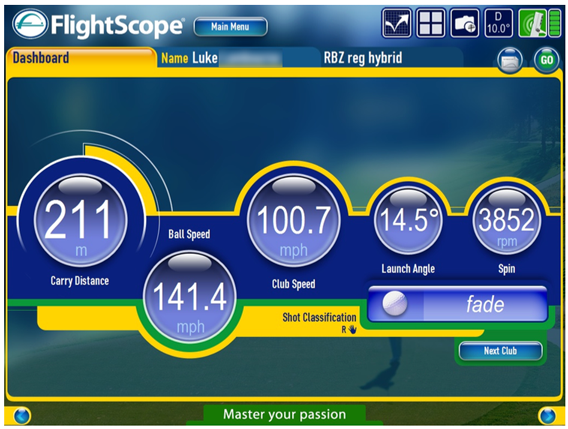 After testing various weights, we calibrated our heavy Velocity Shaft™ to maximize strength without compromising speed. Note, however, that it's been documented that simply increasing muscle strength won’t guarantee an increase speed. (See this study.) This is where the patented Velocity Shaft™ protocol differs from other programs. The second piece of the “speed puzzle” is training the nerves to fire the muscles faster than they’ve been conditioned to move. Golf is a sport of repetition. The more reps you do at a certain speed, the more the brain conditions itself to maintain that speed. In order to override that conditioning, athletes must force themselves to move faster than they’ve been trained to move. To do this, athletes swing the light Velocity Shaft™ as fast as they can in varying positions. This allows the brain to readapt to moving at speeds not possible with a standard club. Over time, the brain allows an increased threshold for speed, firing the nerves faster and moving the golf club quicker. This, along with increased balanced strength, translates into faster, sustainable swing speeds without additional “effort”. Athletes can now match strength with speed that will translate to their own clubs! Will this affect my swing mechanics? No! This is not skill work. This protocol should be part of your regular workout schedule. The Velocity Shaft™ protocol compliments work you do in a gym for stability, mobility and flexibility. As a result you will play longer as well as improve your health and performance. Learn more about the research that led to the invention of the Velocity Shaft™. The TPI blog tracks the interesting career of Jordan Spieth. Tom House and Dr. Greg Rose talk about acceleration, deceleration, and explain the importance of the Big Break Theory. 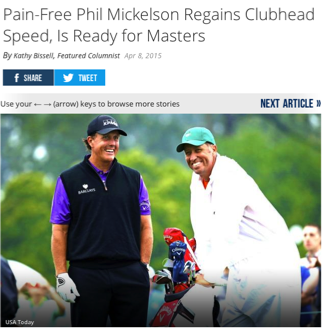 Find out how Phil Mickelson uses the protocol we developed in the Bleacher Report, April 2015. 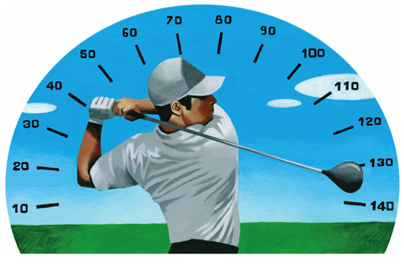 Dr. Tom House explains the importance of balancing accelerator and decelerator muscles in Golf Digest, October 2013. Swing faster. 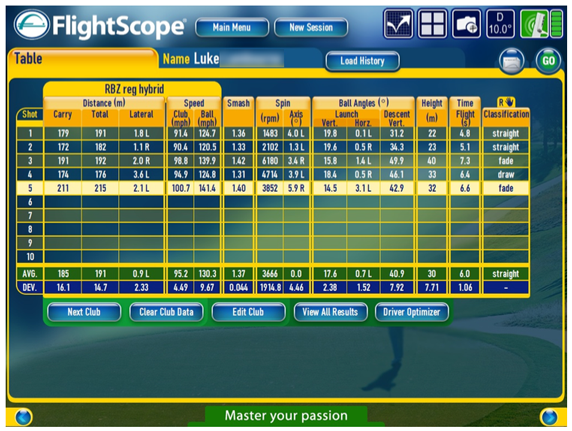 Get more yardage. Buy the Velocity Shaft™ today.